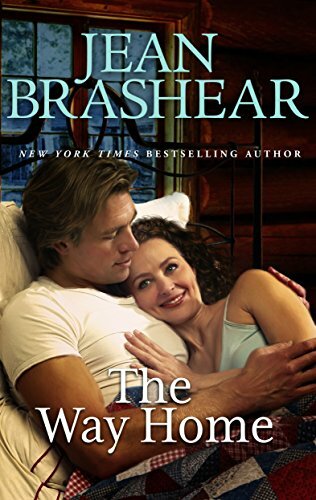 Miranda Brookhaven returned to Bitterthorn, Texas to fix the past. Years ago, her father used her teenage romance with Coe Rodas to steal the prototype for a groundbreaking new automotive invention. Now her father’s dead, and thanks to the convoluted will he left behind, she’s stuck in town until she rights the wrong that lost her the man she loved. Coe learned early on that life never goes according to plan. His dreams of hitting it big vanished when Miranda all but invited her father to take the only thing of value he ever had. But now the once-pampered princess is holed up in a condemned trailer on the edge of town…and everything he thought he knew about her—and about what happened between them back then—seems completely wrong. Miranda’s determined to give back to Coe all that he lost. If she can do that, maybe she can move on from the past. But Coe seems to be more interested in their rekindled passion than claiming what she thinks he deserves. She’s got sixty days to convince him to cough up evidence that he’s the original inventor—after that, the only way to transfer the patent rights over to him would be to make him part of the family, and she’s not sure her heart can take another hit. Only seven reviews but they’re all posiitve. There are flashbacks, per reviews, which some readers don’t love. While trying to rid herself of one debt, Amara is forced into a new one with a man she thought she left behind. When she finds herself unable to shake him off at every turn, she begins to question if the person who once brought her safety is the one she should now be running from. The first book, The Devil’s Contract, in this two book series is also on sale for 99c. He won’t give up on his wife. James and Bella Parker have been through so much together… What started as an unlikely marriage between a blue blood and a rebel blossomed like the gardens Bella cultivates. But she can’t remember any of it. Miles from home, afflicted with amnesia, she’s safe in the care of a kind doctor—and safe from the memory of the betrayal that made her leave. Now it’s up to James to remind her of their wonderful life together, to help her fall in love again…and to help her find the way home. Two other Jean Brashear books are on sale for .99. From the National Book Award–winning author of The Absolutely True Diary of a Part-Time Indian, the tale of a troubled boy’s trip through history. Half Native American and half Irish, fifteen-year-old “Zits” has spent much of his short life alternately abused and ignored as an orphan and ward of the foster care system. Ever since his mother died, he’s felt alienated from everyone, but, thanks to the alcoholic father whom he’s never met, especially disconnected from other Indians. After he runs away from his latest foster home, he makes a new friend. Handsome, charismatic, and eloquent, Justice soon persuades Zits to unleash his pain and anger on the uncaring world. 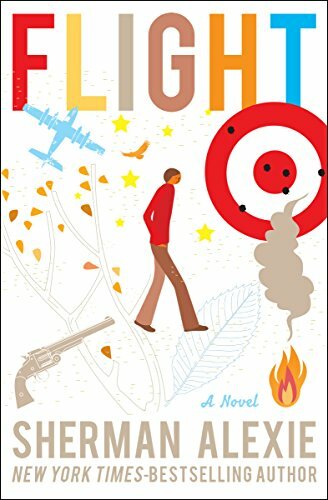 But picking up a gun leads Zits on an unexpected time-traveling journey through several violent moments in American history, experiencing life as an FBI agent during the civil rights movement, a mute Indian boy during the Battle of Little Bighorn, a nineteenth-century Indian tracker, and a modern-day airplane pilot. When Zits finally returns to his own body, “he begins to understand what it means to be the hero, the villain and the victim. . . . Mr. Alexie succeeds yet again with his ability to pierce to the heart of matters, leaving this reader with tears in her eyes” (The New York Times Book Review). Sherman Alexie’s acclaimed novels have turned a spotlight on the unique experiences of modern-day Native Americans, and here, the New York Times–bestselling author of The Lone Ranger and Tonto Fistfight in Heaven and The Absolutely True Diary of a Part-Time Indian takes a bold new turn, combining magical realism with his singular humor and insight. This ebook features an illustrated biography of Sherman Alexie including rare photos from the author’s personal collection.